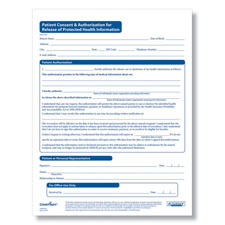 Use our HIPAA Patient Consent and Authorization for Release of PHI to meet your HIPAA obligations. HIPAA requires health care providers and other covered entities to obtain an individual’s written authorization for any use or disclosure of protected health information (PHI) that is not for treatment, payment or health care operations or otherwise permitted or required by the HIPAA Privacy Rule. 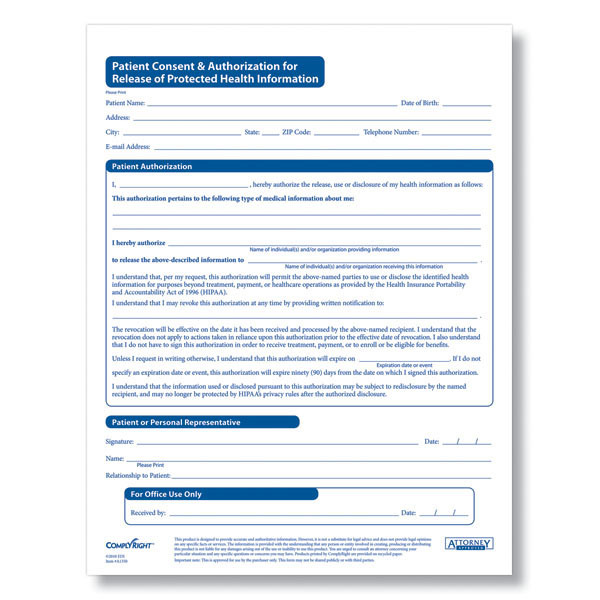 The form includes all HIPAA required elements that must be included in an authorization to make it valid. Meets all required elements for a valid patient acknowledgement under HIPAA. Deadline to comply with new HIPAA rules has passed - September 23, 2013.